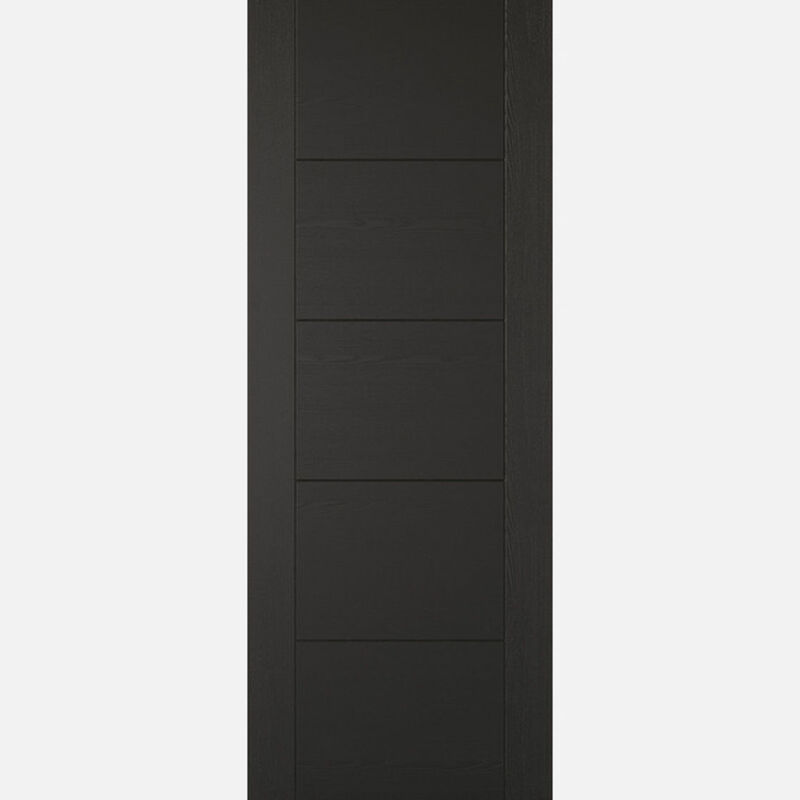 Our ever popular Vancouver, featured in black laminate takes this modern door to the next level. Using quality laminate creates a seamlessly consistent finish to our product. V-Grooves create ladder-style panels in the centre of this Vancouver fire door design, crafted from a beautiful pre-finished Black Laminate. Black Laminate Vancouver Fire Doors are manufactured from engineered door components which can include MDF, particle-board and laminated timber. Competitively priced Architectural V-groove Doors. LPD Black Laminate Vancouver Fire Door Codes - LAMBLAVANFC27 - LAMBLAVANFC30 - LAMBLAVANFC33 - must be treated to manufacturer's instructions. ( Waxes, varnishes or water-based woodstains are NOT suitable. Maximum size reduction on fitting is 3mm per edge for LPD Vancouver FD30 Flush Black Laminate Fire Doors. It is often possible to cut more off a door, but this would be at your own risk, and would invalidate the Vancouver Walnut Fire Certificate. - It is the purchaser's respon­sibility to check the suitability of LPD Vancouver FD30 Pre-Finished Black Laminate Fire Doors and their Certi­fica­tion, in conjunction with Intumescent Strip, the Fire-Door Frame and Architrave, the Fire-Door Hardware and the Fire-Door's Situation of Use. - We cannot exchange LPD Vancouver Fire Doors after order - LPD Vancouver FD30 Pre-Finished Black Laminate Fire Doors are supplied as a Special Order. Please order doors from any other manufacture on a separate order, otherwise the shipping charge will not be calculated correctly. E. & O.E. see T&C - We do try to keep prices and specifi­­­­­­cati­­­­­­ons of LPD Vancouver FD30 Black Laminate Fire Doors correct, but mistakes can made!